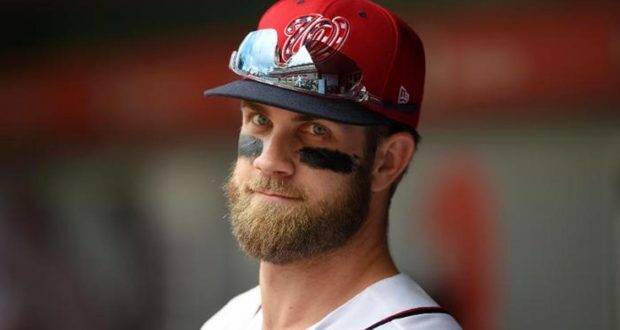 If you follow sports even remotely, you have heard of baseball player Bryce Harper and the enormous contract he recently signed with the Philadelphia Phillies. In fact, it was the largest in the history of team sports. The financial tidbits are astounding, so I have to throw out one. Harper will make $44,000 every time he goes to bat. Yes, even if he strikes out. Everyone realized this is a win for Harper. However, how do those fare that are paying this $44,000 per at bat? This would be the Ownership. Some say ownership of a professional sports franchise is more exclusive than the U.S. Senate. These are the power brokers, those that are able to put together a billion dollars to buy a team. As such, one would figure that these astute business people would have economics on their side when awarding the Bryce Harper’s of the world these kinds of insane numbers. As one would imagine, the playing field is only as level as the rules that guide it. Major League Baseball (MLB) has a very stringent seniority system in place. In their first six years, players can negotiate only with the team they’re on. After that, they can test free agency. 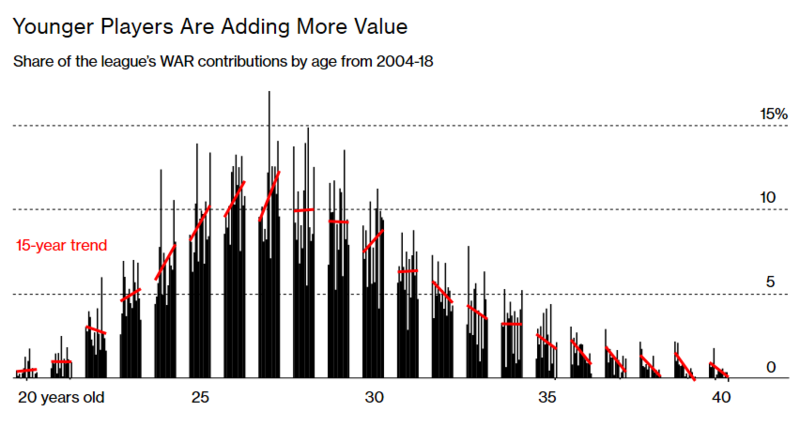 The upshot is that players are generally underpaid while they’re young, but if they’re good enough, can make up the losses later in their career. This arrangement has kept the $10 billion enterprise stable for decades. However, there is a nervous twitch among the players that the owners may be rethinking this contract. The saber rattling comes coincidentally slightly ahead of the end of the current five-year labor deal that will expire in 2021. So what may come? Unlike the National Football League (NFL) and the National Basketball Association (NBA), the MLB has no ceiling or cap to limit the upside of what a player can make. As with Harper this year, the MLB is a bidding process in an open market. In case you missed the details, in February right fielder Harper landed a 13-year, $330 million deal from the Phillies, and third baseman Manny Machado got 10 years and $300 million from the Padres. A statistic known as WAR used by the MLB puts a single number value on players. As the chart below depicts, younger players are contributing more WAR than their older peers. This is why the Harper-type long-term deal is dead. As measured by WAR, Chris Davis was the worst player in the MLB, but was also one of the 20 highest-paid. He has plenty of company. The bottom of the WAR chart is littered with former All-Stars finishing long-term deals. The players may not be happy with what some term as collusion, buy the owners have the economics on their side. In prior years, an older All-Star with fan appeal would be a great asset in the clubhouse, and also help fill the seats. Now, however, national TV money and revenue sharing have made teams less reliant on ticket sales to balance their books, making them less likely to offer these decade-long contracts. It’s easy to make a case for each side, but as with the other professional leagues, it is impossible to make all happy. The pendulum of baseball has swung to the owners. One would imagine there will be fireworks in 2021 when the league contract is renegotiated. How Much Overseas Cash Should We Expect to be Repatriated? The EU May Be Helping.